In The Prophecies of Daniel, Strauss has written an engaging and informative commentary quite applicable in this day when there is great curiosity about future events and what the Bible says about them. 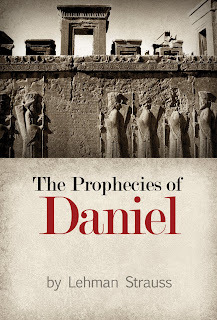 The ISBN for The Prophecies of Daniel is 978-0-88469-089-4. Both books are available in paperback at www.bmhbooks.com or by calling (toll-free) 1-800-348-2756.